Start in Phoenix- driving time to Sedona is 2 hours. Why visit: Sedona is home of the red rocks, and there are so many breathtaking sights here that will leave you speechless. This town is a work of art, and there are masterpieces everywhere you look. I recommend two nights because if you like to hike, this is the place to do it. If you don’t like to hike, jeep tours or helicopter tours are an amazing way to see the landscape. You also can now experience the infamous vortexes for yourself. It’s close enough to the Phoenix airport you aren’t driving forever after you land and can start your trip immediately. Why visit: It’s the Grand Canyon. Duh. If you haven’t been, you absolutely must. If you have been, you should probably go again because it’s something you probably never will get tired of seeing. My strong recommendation is to stay in the village along the rim if possible. The very best moments of the Grand Canyon are sunrise and sunset. It also allows you to get an early start on a hike down into the canyon, which helps you to experience it from a different perspective. The food here is not so awesome, but a dinner at El Tovar Lodge is pretty great and will definitely require a reservation. Drive to Page, AZ- driving time to Page is 2.5 hours but leave time to stop at some amazing viewpoints on the east rim along the way! Why visit: This is where all the money shots are. This is home to Horseshoe Bend and Antelope Canyon, two of the most amazing sights I have ever laid eyes on. These places are unreal. You can also take a boat tour on Lake Powell and visit Rainbow Bridge, which is on my to-do list for next time. Drive to Springdale, UT- driving time 2.5 hours and a gorgeous drive at that, which ends with Zion Scenic Drive that cuts through the main section of the park. Why visit: Zion National Park is another phenomenal place to go hiking, and see some gorgeous cliff and canyon landscape. 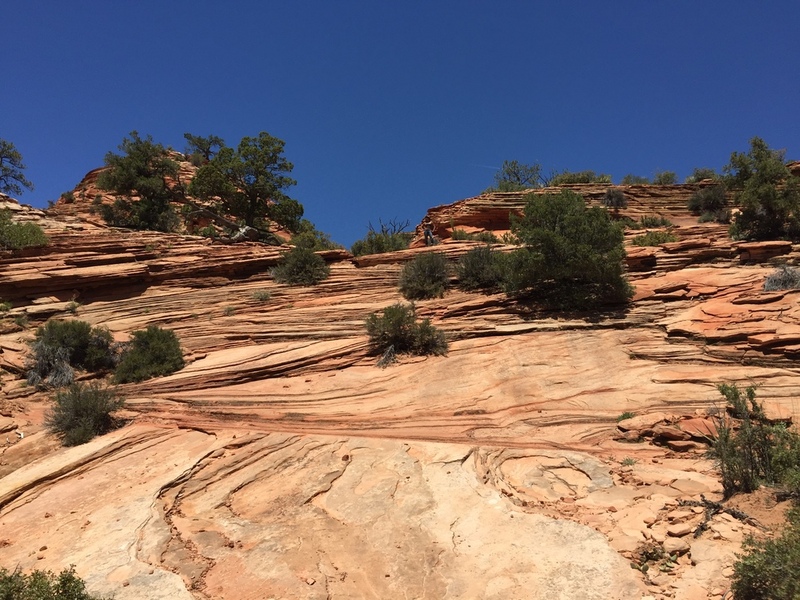 It’s layers of sandstone will take your breath away. The best hiking experiences are The Narrows and Angel’s Landing. There are over 120 miles of hiking trails. so rest assured there is something for everyone. FLY HOME…. or hang out in Vegas. Plan early. Especially in the busier months, places definitely get booked out. Always overnight when possible. You are trying to experience these places, not just take a photo. Make it happen. Even if you can’t do a week, you can do a weekend. Pick part of this itinerary and just commit to making it happen. 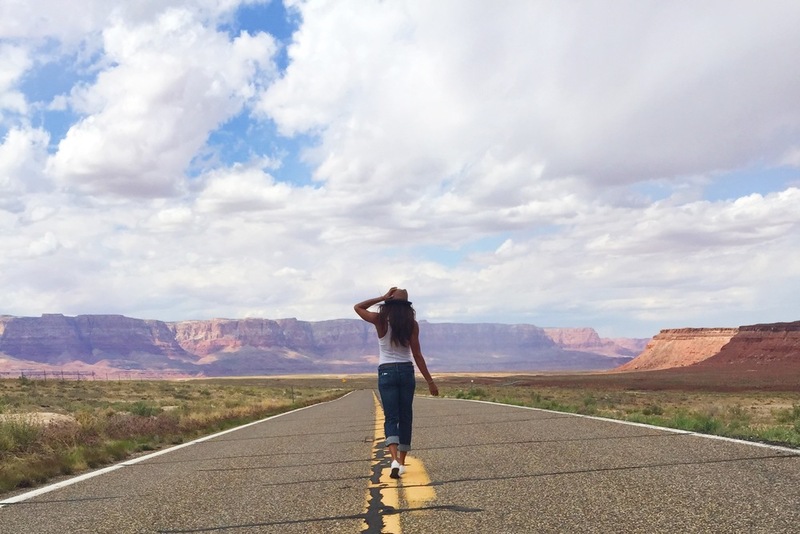 If you’re the type of person who would love an extra fabulous road trip, with the very best places to stay that are the perfect blend of luxury while remaining authentic, I would love to help you plan such an adventure! Contact me to chat about what would work best for you.